You can generate a PDF document of your current map view and feature selection to share or print. 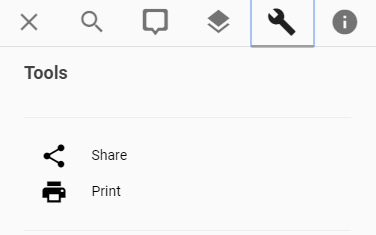 Click the tools button at the top left, then Print. Pozi will generate a PDF file which will usually be downloaded automatically to your computer. 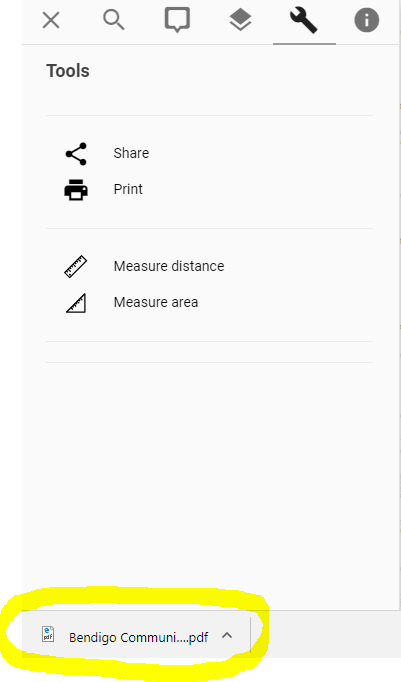 You can then use the browser print function to print the page directly from the browser. 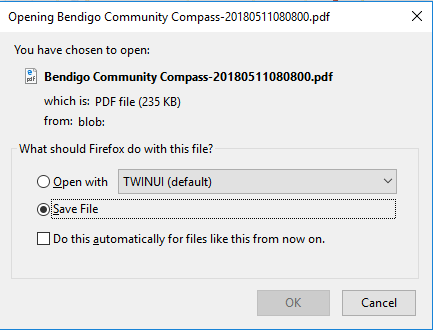 This dialog will usually occur because your browser is not able to open the PDF, and you are being asked to select a program to open it. If you are unsure which program to use you could try using the default selection, or seek assistance from your IT service. Alternatively you can save the PDF as a file and review it at a later time.